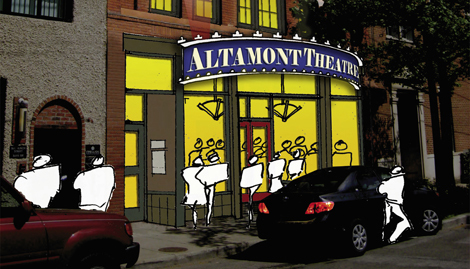 All musicals, all the time could be the motto of Asheville’s newest performance venue, The Altamont Theatre, which opens February 9 with the off-Broadway show Pete ‘n’ Keely. It’ll be the first of many musicals to bring New York City actors and directors to town. Husband and wife, Brian Lee and Tiffany Hampton, devised a plan to build a professional black-box theater and conservatory while living in New York. “We wanted to create an intimate experience for audiences with a flexible space,” says Lee. The couple moved to Asheville in 2007, and have spent the past 14 months renovating the building. Built in 1895, the Altamont has housed many businesses. Now, the sounds of song and dance will resonate inside.